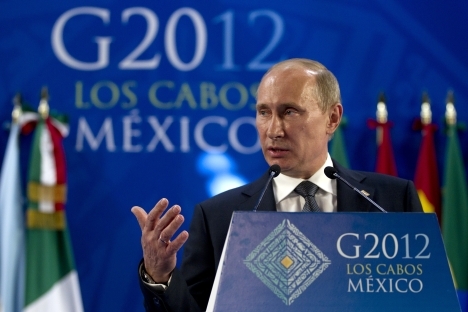 Russia will host the Group of 20 summit in September in St. Petersburg. In advance of this summit, the B20, composed of the top business leaders of the G20 nations, will also meet. This summit will be a fitting occasion for governments and businesses from the developed and emerging markets to find solutions to one of the biggest challenges these diverse nations all have in common: corruption. In developed nations, recent scandals have revealed cases of outright criminal fraud. The debate in the West continues to center on redesigning the regulatory environment. Among the BRICS countries and other emerging markets, corruption has been part of the political and economic landscape for years and a major obstacle to economic and social development. While some of the smaller nations have had some success in reducing corruption, the large power houses of the BRICS continue to hover around the second and third quartiles of Transparency International's latest Corruption Perceptions Index. But now corruption seems to have become a real concern for these governments, too. President Vladimir Putin has recently intensified his anti-corruption campaign on several fronts, including the firing of high level public officials. In India, the government has been rocked by corruption scandals, and public discontent has been translated into social unrest. In Brazil, a scandal involving millions of dollars in bribes to members of parliament resulted this year in the largest corruption trial in Brazil's history. In South Africa, allegations of corruption surrounding President Jacob Zuma have become an electoral issue. In China, the Communist Party is intensifying its battle against corruption among top officials. It is clear that governments alone will not succeed in reducing corruption. Business, with its overwhelming need for clear rules, economic stability, predictability and growth, must be a critical contributor to changing the culture of corruption and a key part of the solution. After all, corruption is a problem of supply and demand. If on the demand side, solicitation is a symptom of governments' inability to impose a credible deterrent, on the supply side, leading companies need to demonstrate that they have the self-discipline to resist offering or paying the bribe. They should introduce effective compliance procedures and awareness programs for their staff, and encourage the same standards in their supply chains and markets, from state-owned companies and small and medium-sized businesses alike. They can support central and local governments in their efforts to clean up public procurement and establish fair and transparent rules for business and public tenders. Companies can also contribute to an effective regulatory framework by monitoring the implementation of anti-corruption legislation such as the United Nations Convention against Corruption and the Organization for Economic Cooperation and Development Anti-Bribery Convention. At next year's summit, the first to be hosted by a BRICS country, we hope the G20 and B20 will focus on making sure that such approaches get put into practice. It's a massive undertaking and can only succeed if business and government cooperate at every level on creating a fair and level playing field. Only with this type of collective action can we begin to find effective solutions to a problem that is crippling social and economic development in many nations. Andrei Bougrov is chairman of the board of Norilsk Nickel and chairman of the В20 Working Group on Improving Transparency and Anti-Corruption. Brook Horowitz is director for business standards of the International Business Leaders Forum and is a member of the Organizing Committee of the В20 Working Group on Improving Transparency and Anti-Corruption.